Faik Shakarchi and Daniel Stranéus famously started making beats together in the Gothenburg tapas-joint coat check where they both worked as clerks. Their now 10-year old friendship is the story of legends, their sparse vinyl output the secret love of deep house 12'' enthusiasts around the globe – the warm, vibrant sounds found on those records a stark contrast to the stripped-down efficiency of their marathon DJ sets, frequently heard within the more nefarious parts of Swedish nightlife. The duo has also been a part of Studio Barnhus since the very beginning, first letting us into their strange yet cosy world with the Dödskallar och korallrev EP in 2010, effectively turning what was then a one-release operation into a Record Label. 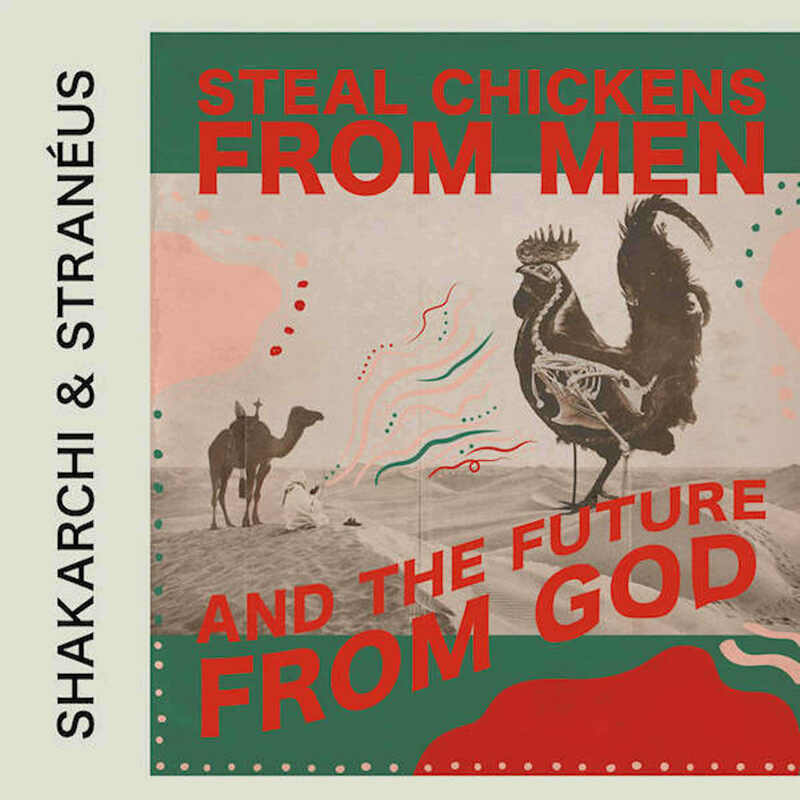 The distinctive sound of that early material (described by one Discogs commenter as “enlightened, naive future dub for children”) has been expanded upon and further defined on their debut album Steal Chickens from Men and the Future from God, its 12 cuts lovingly selected from a plethora of works floating in and out of makeshift studios from Storgatan to Gamlestan over the last 7 years. The record took its final form at Nacksving, the same place where recent albums from Talaboman and Kornél Kovács were sonically perfected in cahoots with mix engineer Matt Karmil.